CINCINNATI -- Imagine waking up on a snowy day and being able to immediately find out whether or not a snowplow has cleared your route to work or the grocery store. For Cincinnati residents, it doesn’t require imagination anymore. Instead, all it takes is a device with an internet connection. On Dec. 7, 2016, city manager Harry Black and other officials unveiled CincyInsights , a creation of Cincinnati's Office of Performance Data Analytics . CincyInsights presents citywide data collected by the OPDA in a visual format -- “dashboards” -- that’s accessible, interactive and user friendly. The snowplow dashboard , which will only be available during winter storms, is updated every 5 to 10 minutes and uses GPS data from the city’s snowplows to show where the plows are, where they’ve been, how many miles they’ve plowed and how many miles are plowed per hour. Users of the snowplow dashboard can plug in their street name or zip code and a map in the center of the dashboard display will focus on their neighborhood. “Anyone who’s interested in tracking a snowplow or tracking a particular street during a snow event will be able to use this dashboard to see where a snowplow is at any given point in time,” Black said. Users don’t have to be tech-savvy to use CincyInsights, he added. “I think the way we’ve done this is as perfect as you can achieve with something like this,” Black said. Black also said he was unaware of another city with a comparable system. The CincyInsights website features 15 dashboards that allow users to explore and research a variety of subjects, including police and fire activity , heroin overdoses , nuisance property citations , and even the city’s efforts to fill potholes . The OPDA plans to add more dashboards as more layers of data become available, said chief performance officer Leigh Tami. Most of the dashboards provide data collected over several months or years, and users can drill down to see incidents broken out in a variety of ways, including date, day of the week, time of incident and location by neighborhood. The data for most of the dashboards is updated daily, Tami said. Though the information available on CincyInsights presents data relevant only to the city, he said that the city is open to collaborating with neighboring municipalities to expand the amount of data available. Each CincyInsights page includes a section where users can provide feedback on the usefulness and ease of use of the dashboards, information that Tami promises is read and taken into account daily. City councilman P.G. Sittenfeld hailed CincyInsights as a “confident step” toward greater transparency and engagement with city residents and said CincyInsights will give the city a new means of crowd sourcing solutions to problems it faces. 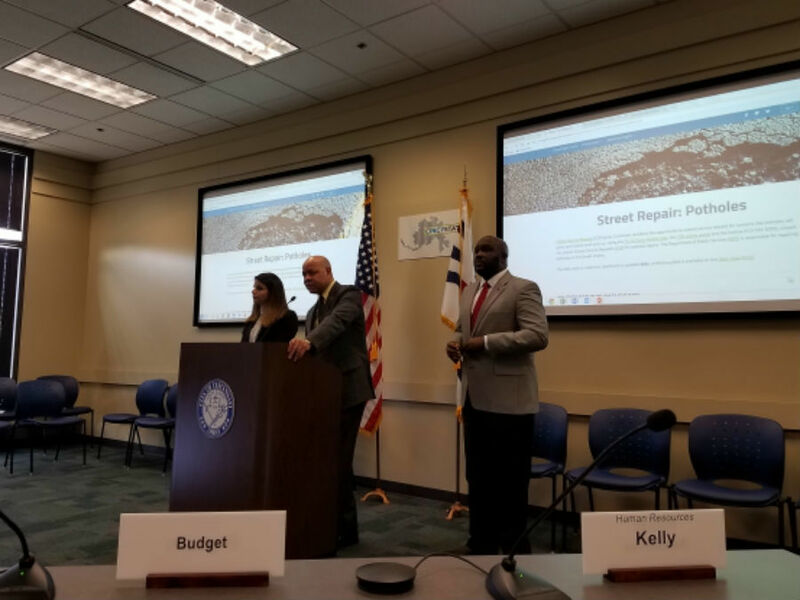 Sittenfeld, a sponsor of a policy motion that led to the creation of the open data portal, also said the dashboards "are both powerful and empowering" resources for the city's residents.